The Johnsons: Happy 4th Jessilyn!! 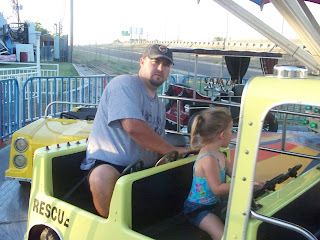 We were in Amarillo for Jessilyn's birthday this year. For one gift, she got to go with Jaclyn and I to get her first pedicure. 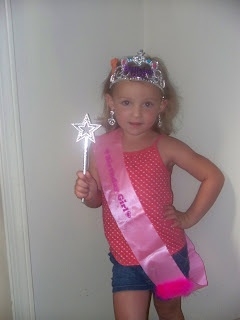 She loves all the prissy, girly stuff...this was no exception! She decided she wanted the family to go to Wonderland. We had a little picnic, opened presents and ate cake, then went to ride all night long!! She had so much fun with her cousins. 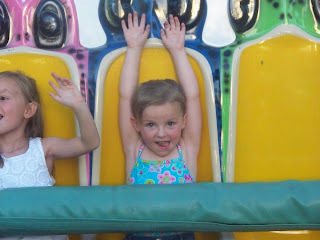 She thought she was so cool because she rode some of the "big" rides with them. (And also because she wore a swimsuit with shorts through the entire park for the one water ride-HAHA). 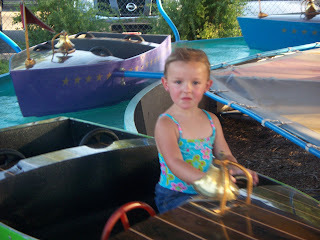 I still remember how cool Wonderland was when I was her age, and it is apparently still just as great! Pure joy! I love you, sweet girl! !